With DocuSign there is no more mailing or overnighting application packages. Instead, applicants receive an email with a link to a secure DocuSign site where they can read, review, and sign application documents and agreements online or from their mobile device. 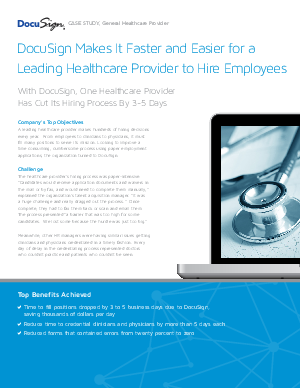 Download now to learn how DocuSign can improve the hiring process.